Best Blogging for beginners platform free to use. Hello, everyone, I am here to share my new blog post how to start blogging for beginners online free. I am continuing my blog that how people are easily creating their blog on blogger. Yes, Blogging for beginners blogger gives a platform to show your passion for writing with your blog post and share your knowledge and passion with the world. How to create a blog on blogger online free or Blogging for beginners? While starting as Blogging for beginners how to create a blog on blogger online free you have to first search blogger.com on your browser. Be ready to sign up with your new email id to get sign up to create a new blog. When you sign up with your email id to create a blog on blogger online free on blogger. Redirect to your new page to create or set your blog name after creating your blog name next option will be to set up your sub-domain URL. We all know that there is not any free service to earn money in the world. We have to work in others down hand rules to use their free services. Google also provide us that kind of services, we have to work on his rules and guidelines with terms and condition. 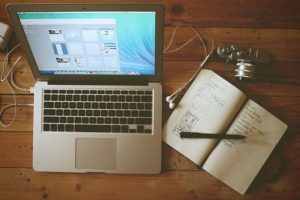 Blogging for Beginners Types of the domain. A URL Address from where you can control your website or blog and make customization about your need and full control of it. Do what you want on your website or blog look like in resent. There are two types of the domain to use for a website or blog for Blogging for beginners. subdomain actually is a domain in which we get free to make our blog or website and earn money. but we don’t have full power to control our blog or website. WordPress provide subdomain with xyz.wordpress.com there are too many websites on the internet which provides subdomains. But most of blogger first choice is blogger.com because it is google product and people believe on google. Google doesn’t provide free service it takes a charge with some % of your revenue. A custom domain is a domain where you are the owner of your domain you can use it. How you want to use there is no boundation or limitation no rules no guidelines. you can post any website ads or product ads and make money online. But it could not be free you have to pay for buying a domain name and hosting. After creating your blog URL know you have to select a theme for your blog main page, you can use a free theme. Which is provided by a blogger or you can customize the paid theme from the third party sites. Once you selected your theme and save it, know you ready to post your blog. But you need some setting and need to create a page for your blog home page and the Menu bar to give professional look. How to make pages on blogger or how to Design blogger template? 1-First open your blog and find out the layout on the right side menu bar. 2- click on the layout and select the layout where you want to show your pages on your blog post the main page. 3- When and where you want to show your own homepage header, footer or sidebar. Your own choice but the best option is to select header because its look decent and the visitor can recognize your site easily. 4-when you select your layout to click on the add gadgets and search for create pages and add on your layout. know your pages you create it will be seen in your blog on the main page. 5- Pages that you have to create which are compulsory for any blog or website. How to edit pages and design blogger template on blogger. There are many websites which provide free services to make your pages and design blogger template with HTML coding. When you have visited their website you have to follow their instruction by signing up with your email id and submitting your URL. You have to give your basic information .they will provide you with HTML coding or other coding. (visit:-www.easyriver.com) to create pages. When you get coding just copy it and open blog and go to your sidebar and search pages option. For example downside you see edit, view, share and delete option. you have to click on edit option and it will show you new page on the upside on title bar you see contact us. Downside where we write a blog post there, you have to paste the HTML code that you copied and save it. This is how to create pages for your home page on your blog and customize your homepage. The menu bar and make it visible to a visitor that they easily recognize your site. Design blogger template and theme on your blogger home page. When you complete creating your pages on the side menu bar click on the theme you see to option customize and HTML. 1-Themes:-you have to select your own choice themes and customize it if you think necessary. 2- Background:- Background option you can change the background theme and select which theme you look suitable for the background. 3 –Advance:-you can change your body background color, title font color, title font size small or large. 1-Header: –Here you can change the header background color, Title Font size small or large. 2- post- Here you can customize text color, title font size small or large. 3-comments:-Here you can customize your Header color and Author font Size. 4-Side- Here you can change or customize your sidebar background color, separate color, and profile name font and size. 5-Search-Here you can change input font and your search bar. 6-sharing:- here you can change the search background color, sharing text font, and sharing text color. Blogging for beginners when you customized or design blogger templates themes you have to save changes. If you don’t save changes to your themes will not be customized.so always save changes when you have properly customized your themes. Why should use new email id? While starting to create a blog on blogger online free you have to first create a new email id that you can easily get approved by Google Adsense. When we do something genuine we get more process to complete the recommended task. Google Ad sense is a Google platform and we can believe in it and his process is also tough to get approval. Google Ad sense to make money with blogging free in blogger platform. Once google accept your request and give the approval to show google ads on your blog post. Then you get a great opportunity to make money online with your blog post. Know days on the internet there are many websites which give you easy approval to show their ads on your blog post. But their revenue is not too much enough according to Google Adsense .that why people first choice is to get approval by Google Adsense. In this post, I have explained how to create a blog or blogging for beginners on blogger online free. how to design blogger templates, customize your theme and homepage which are compulsory to any blog or website. know we have to learn and understand about blogger setting and how it works for Blogging for beginners.